Is Your Doctor Really On Your Team? You resort to extreme measures. You make an appointment with your doctor. To your dismay, your doctor listens to your story the gets a bit glassy eyed when you start explaining that you have to keep running in order to develop the fitness you need in order to achieve your goal. You see your doctor fighting the temptation to roll her eyes. Her head tilts slightly to one side. And then she calmly explains to you just have to stop running. We all imagine that our doctors are on our team because we hired them. But you have to make sure that they were truly aligned with your actual athletic goals. This is not always the case. 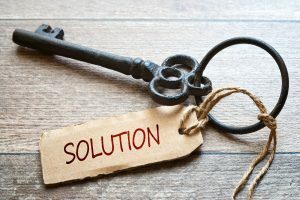 In some cases your doctors are financially motivated and even contractually obligated to simply find the cheapest way to get your problem resolved. Of course the problem, is the running injury not your athletic aspirations. When you look at this particular definition of the word “team” you realize that central to the definition is the “goal.” So the first thing to realize is that your doctor has to be concerned and dedicated to your particular goal. If your goal is to run the Boston Marathon then it is the doctor’s job to help you heal the injury, help you adjust your biomechanical deficiencies that may predispose you to injury and then help you get to the starting line of the Boston Marathon. The confusion comes in when your doctor becomes myopic about the first part of this equation. The doctor just wants to heal your injury. That of course is a worthy goal for most doctors. But if making you “rest” helps heal your specific foot injury, but obliterates your fitness and makes it impossible for you to actually achieve your goal of running the Boston Marathon the doctor is not acting in way that shows she is on your team. It may be helpful to understand some of the ways this can happen. 1. Your doctor may not understand runners. Is there such a thing as too much health? Of course there is. If you drink too much water you can get electrolytic imbalances and have a heart attack. If you run too far, theoretically you could die. In fact the entire mystique of the marathon distance is ba sed upon this idea. Pheidippides ran from Marathon to Athens to deliver news of a military victory against the Persians at the Battle of Marathon. After delivering the news he died from exhaustion. So it often seems like doctors are trying to protect us runners from our own goals and aspirations. They treat us like little children it might eat ice cream and cookies until we get sick. Sometimes doctors resort to this paternalistic attitude when they just don’t understand runners. But there is a flipside to this paternalistic protection. If a doctor thinks you will best heal by resting you can overdo it. For a runner, there is such a thing as too much rest. If you’re a runner, intent on continuing to run, prolonged periods of convalescence will decrease your bone density, diminish your muscular strength, erase your aerobic fitness and obliterate all of the neuromuscular connections that promote coordinated movement and the efficient running form that decreases your risk of another running injury. Activity can help you heal. I strongly believe that the absolute minimal limitation of activity is what is best for most runners. But if your doctor believes that strict rest is the solution, you should start asking lots of questions to determine whether or not your doctor is actually on your team. 2. Your doctor dismisses you if you don’t need surgery. In the third year of my foot and ankle reconstructive surgical residency training, I was working in an orthopedic surgery clinic. The doctor I was working with was a great guy. He was a board-certified foot and ankle orthopedic surgeon and he was also a marathon runner. While I was working in that clinic on that particular rotation, I was developing a presentation on running injuries. Was supposed to be presenting this talk to the foot and ankle surgical staff at the University of Utah Medical Center. While researching that presentation I found a great deal of conflicting information in the medical literature about the true cause of shin splints. As we all know, shin splints are one of the most common running injuries. So one day in clinic I asked this particular orthopedic surgeon (again he was a runner), what exactly is shin splints? Now, it may sound like I made this up but that was his real answer. 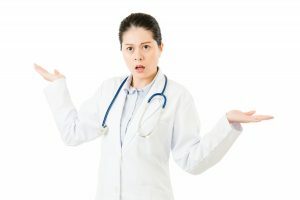 So if your doctor really seems to have a practice based on surgical interventions you should not really expect to get a great deal of attention if you have a problem which will heal without surgery. I can give you a prescription for physical therapy, if you want. It should get better on its own, but if it doesn’t we can always operate on it. 3. Your doctor doesn’t appreciate your goal. Runners always read stuff on the Internet. Keep in mind these are actual perceptions voiced by physicians in a room full of doctors at a medical conference during an educational session on running injuries. Let’s talk about these. It always makes me laugh when I hear a doctor say, “runners never stop running.” No kidding. They are runners. They’re supposed to run by definition! And in my experience most runners listen very carefully. Although admittedly I think some runners do start to tune out physicians who clearly think the solution for a runner is to stop running. Well I can tell you that after having spent years doing second opinions for runners who are not getting better, most runners should question the doctor’s diagnosis. The runner should advocate for themselves and push the doctor to explain in great detail why one particular diagnosis is correct and all the other possible problems can be truly excluded. Don’t ever forget that if you have the wrong diagnosis you’re probably not going to get better as quickly as if you had the correct diagnosis. It’s a lot easier to heal the injury when you have the correct treatment aligned with the correct diagnosis. This of course follows up with the next objection which is runners know everything. Runners may not know everything, but they often times know a lot more about running injuries then certain doctors. Although I probably have some of my classmates from medical school listening to this right now, who are somewhat infuriated, and will almost certainly confront me the next time I see them at a medical conference, I stand by the statement. The last objection has always confounded me. I don’t understand why some doctors seem to think that runners are self-destructive. Goal oriented and excessively driven, maybe. But self-destructive, I don’t think so. There’s no question in my mind that the average runner in America is much healthier, much more focused on overall well-being and longevity than the average sedentary American. That being the case of course, runners want to stay active and continue running because they know this activity is central to a long healthy life. If your doctor seems to be focused on directing you away from running instead of helping you figure out how to run without injury, you may ask him point blank what is his particular objection to running. 4. Your doctor is working for the insurance company…not you. The most ominous and seemingly sinister sign that your doctor may not be on your team is that your doctor is actually financially obligated to not be on your team. Imagine that you belong to an HMO type insurance plan. What does that mean? Well in practice what it means to you as a runner is that all of the doctors work for the insurance company. So no matter how much your doctor wants to help you heal I can promise your doctor is more dedicated to her employer then do you as a patient. 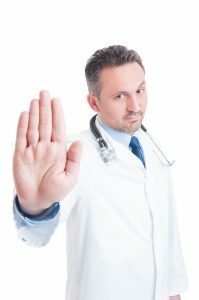 One of the most common objections to HMO insurance plans is that physicians are reimbursed based on a bonus structure. That bonus structure often has to do with withholding of services such as MRI imaging, bone stimulators and other expensive treatments. You may believe that this is impossible, but I can assure you it’s not. If you don’t believe me just do a search to see whether or not any insurance companies have ever been accused of withholding services to increase profits. 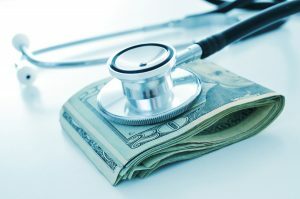 When the doctor’s bonus and or salary is associated and dependent upon the direct profits, it just makes sense that the doctor will think twice about providing expensive treatments. If your doctor tells you that you should use a fracture walking boot and crutches for six weeks, be wary. Now to be clear, the overwhelming majority of overuse running injuries that affect the foot and ankle will dramatically improve with 4 to 6 weeks in a fracture walking boot. And a fracture walking boot is inexpensive. A whole lot less expensive than a bone stimulator. Fitting you with a fracture walking boot also takes a whole lot less time then detailed explanations and close analysis of your training program. Since time is money, this also saves the doctor and the insurance company money. But again, you have to think of your goal. Your goal is to run. Your goal isn’t just to get the pain go away. Your goal is to get the pain to go away so you can run. What could I do instead of the fracture walking boot to make sure that this thing heals faster and I can get back to running as quickly as possible? 5. Your doctor tells you to stop running. This one is simple. As we talked about in the beginning, for two people to be on a team they have to share a common goal. If your goal is to run in your doctor tells you have to stop running and start biking or swimming, playing checkers or anything else, you’re not on the same team. Your doctor’s job is to help you achieve your goal. You may have overdone it and developed an over training injury while you were running, but it’s not your doctor’s job to tell you to stop running. It is your doctor’s job to take you by the hand lead you through the appropriate treatment options and get you to the starting line. Make sure you define your specific goal before you go to the doctor. 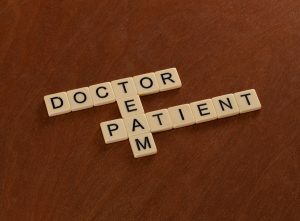 Write down specific questions that will help you direct the discussion with your doctor. You have to focus on maintaining your fitness, strategies to speed healing and make sure your doctor stays on task with achieving your goal.